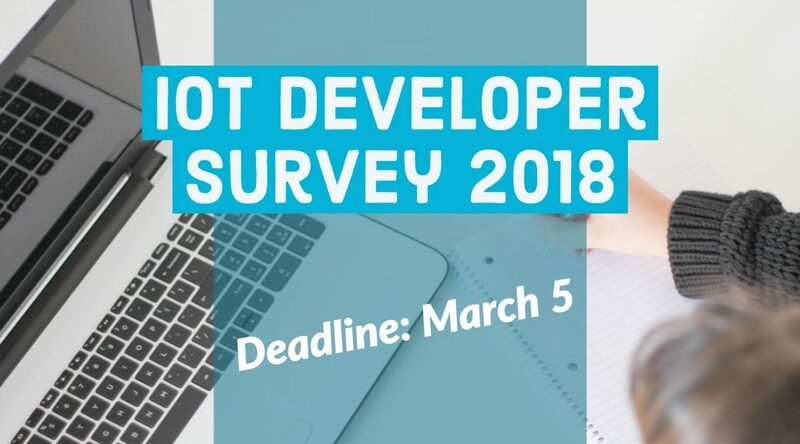 Please take 5 minutes of your time to complete the IoT Developer Survey. There are many different approaches to IoT, and we would like to understand better the current technology trends, how mature the industry is, and how the current industry players are perceived. Of course, at Eclipse we are building an open source community for IoT developers, so we are also looking forward to learn more on how mature the industry is with regard to using and contributing to open source IoT projects. Again, this is really just a few minutes of your time, and in order to thank you for your participation we will give away three $100 gift certificates for you to buy IoT hardware of your choice!